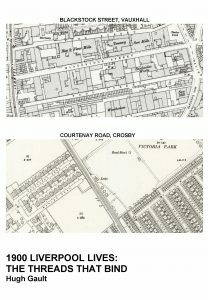 The history of everyday lives, this book is about two contrasting parts of Liverpool at the start of the twentieth century, Blackstock Street, Vauxhall and Courtenay Road, Crosby. It tells the stories of the streets and some of the people who lived and worked there – their backgrounds, the circumstances in which they lived and the consequences. The two streets were only six miles apart but might have been different worlds. Yet there were similarities as well, one of the most striking being the importance of strong women. If people’s lives depend on a combination of will and circumstances, what was the impact on quality of life and life chances? Did aspirations and expectations differ and if so to what effect? And has much changed in the century since? This is history that mirrors our times.